To choose the size of your electric radiators you will need to measure the size of the room you want to heat. Then you can use our radiator calculator to find out how much wattage you will need to heat the space efficiently and effectively. You will need to find a radiator, or combination of radiators, that adds up to the required wattage. It is often more practical to heat your room with a combination of smaller radiators because this allows you to make use of existing alcoves and unused wall space. Are traditional style electric radiators efficient? 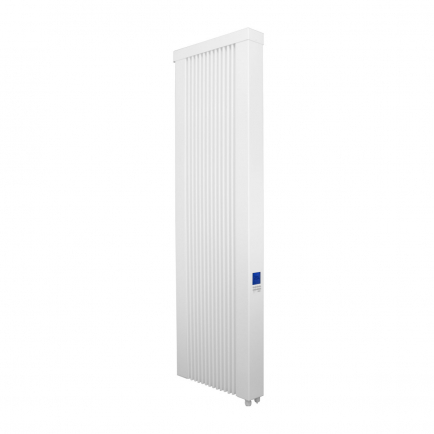 Our traditional style electric radiators may look indistinguishable from conventional central heating radiators but they are equipped with all the energy efficient technology of electric radiators. The Electrorad Digi-Line range uses a fully enclosed thermal fluid to distribute heat evenly around the room, whilst the Electrorad Aero-Flow range uses hot fireclay plates which heat up within minutes and retain heat for well over half an hour. Whilst central heating systems are limited by a single, central thermostat which provides an unrepresentative reading for the rest of the house, our traditional style electric radiators each carry their own thermostat for individual control and zoning. However, if you prefer the more holistic control offered by central heating systems, the Electrorad Digi-Line range can be controlled by an option central programmer. What are your traditional electric radiators made from? Our traditional style electric radiators are typically manufactured from steel and come in either white or anthracite to suit different design schemes. Can I paint my electric radiators? No. We do not recommend painting your radiators because this can reduce heat output and interfere with electronic controls. 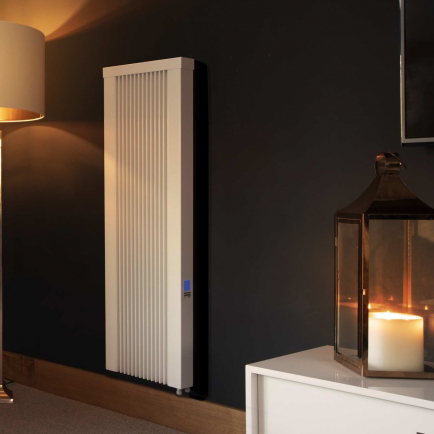 Traditional style electric radiators allow you to enjoy the energy saving benefits of 21st century electric heating technology whilst maintaining 20th century aesthetics in retro and period properties. Our Digi-Line and Aeroflow electric radiators use fast-acting electric heating elements concealed inside traditionally-styled fluted steel bodies to distribute heat through a mixture of radiation and convection. Smart digital controls help you to manage your energy usage, whilst a range of sizes including vertical electric radiators guarantees you a suitable heating solution for every room in your house.